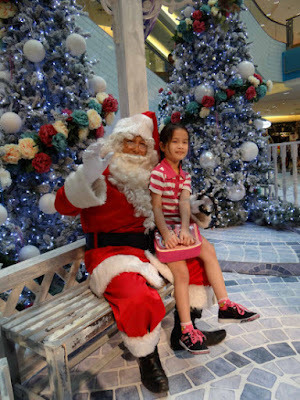 If you're looking for variety this Christmas, then Sunway Pyramid is the answer! 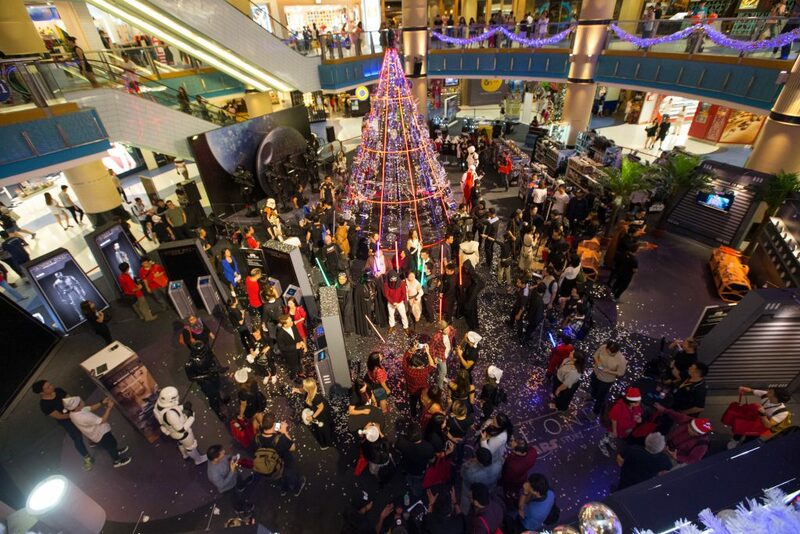 From a Star Wars-inspired Christmas to a Mattel Christmas Roadshow, there is something of interest to everyone. The highlight however, is the sparkling display of modern Christmas trees, decorated with twinkling fairy lights, cheerful baubles and a majestic tree topper. 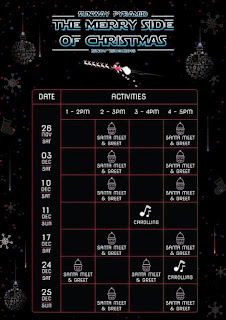 Also, you will be chanted by holly jolly carolers with Santa lending an ear to your Christmas wish list on weekends! The best part is when the time comes for some Christmas shopping, you can drop your little ones off for one day of excitement at the fanciest play land in town at The Parenthood Playland. Then head out to the 900 specialty shops throughout the mall offering fashion and sports, lifestyle as well beauty, together with a wide range of gadgets, toys and a limitless plethora of holiday deals and seasonal offerings. And if you wanna enjoy a festive dinner with your loved ones, you can head on over to the new Sunway Pyramid West, which offers a wide range of new dining options, ranging from fusion delights as well as Thai, Japanese and Korean cuisine, not forgetting Malaysian favourites and Western classics. 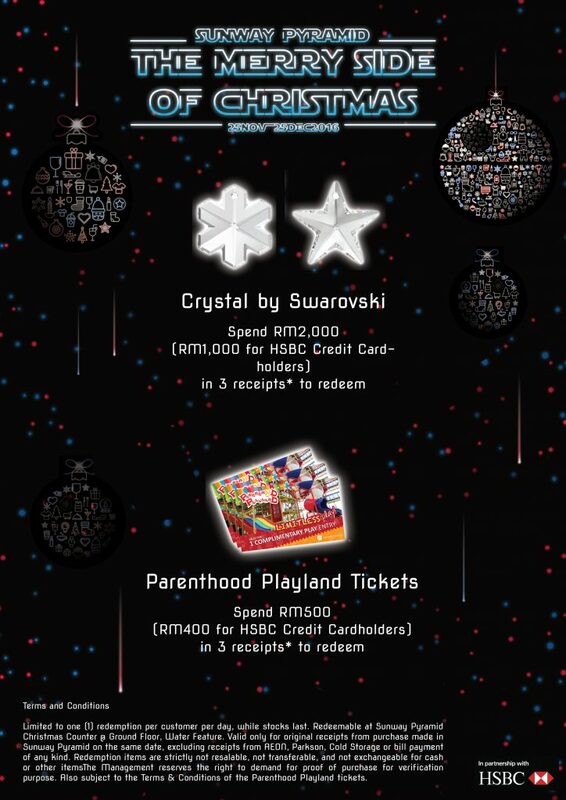 As a reward, you can redeem a sparkling “Crystal by Swarovski” pendant, with a minimum spend of RM 2,000 (RM 1,000 for HSBC Credit Cardholders) in a maximum of three receipts. 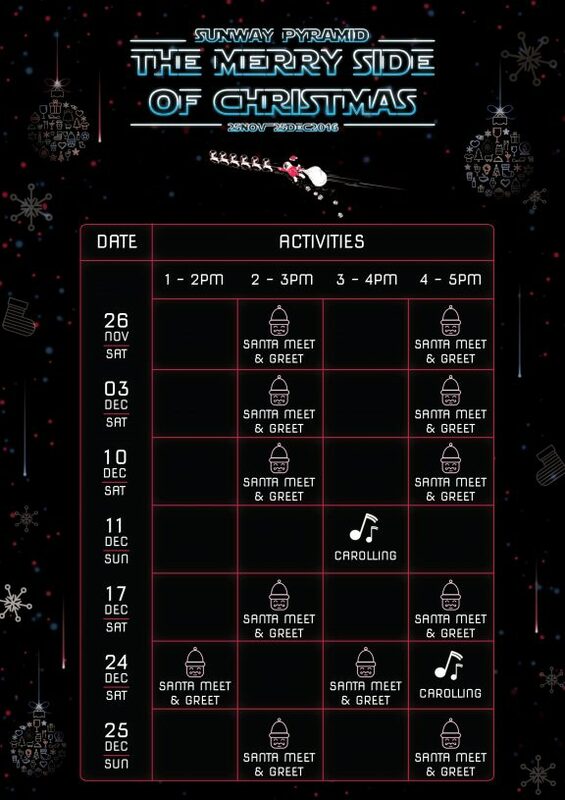 Meanwhile, if you spend RM 500 (RM 400 for HSBC Credit Cardholders) in three receipts or less, can redeem a pair of tickets to the Parenthood Playland.